When most people think of Norway, they probably first imagine their sprawling pristine landscapes and undisturbed natural resources, but most probably forget about the grand tradition of fresh drinking water and its importance to the nation. 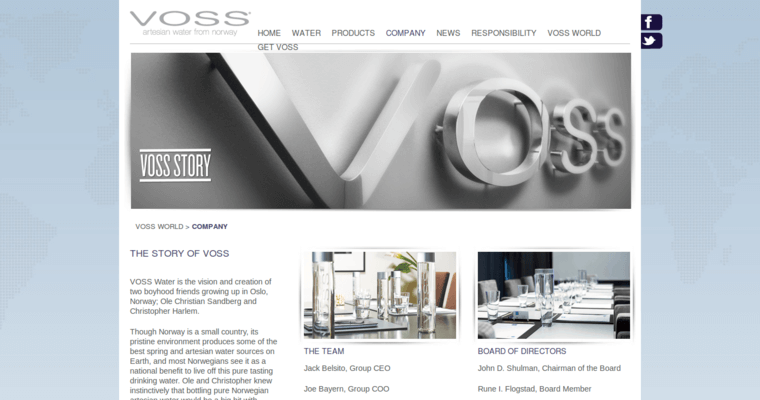 They have a huge amount of respect for water of the highest quality, and when two friends from Oslo decided they wanted to share that tradition with the world, they founded VOSS Waters. 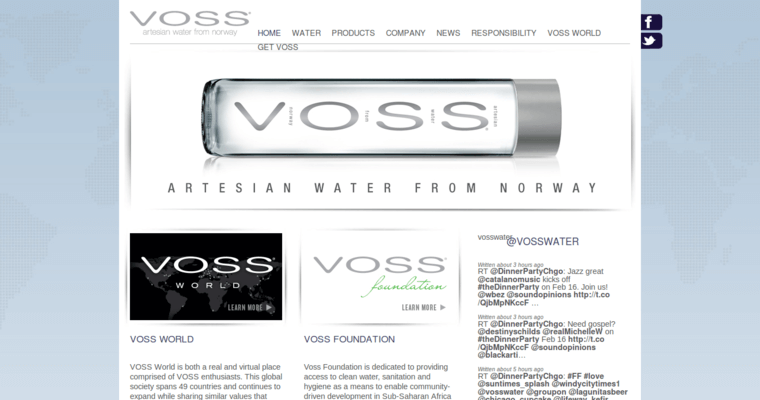 The brand is one of the younger in the world-class bottled water industry, but they have enjoyed vast levels of success in their relatively short life. 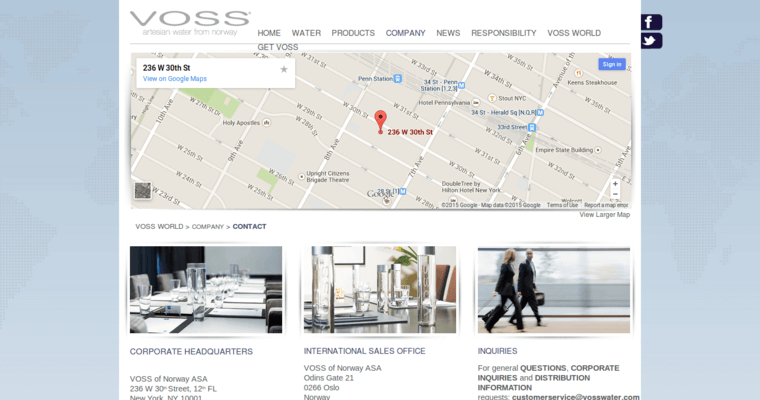 When VOSS was first created, the brand was only available in Norway and a select few of their neighboring countries, but now it can be purchased in more than 50 nations across the world. Their product line includes both Still and Sparkling varieties, and they only use the most recyclable materials possible in the bottling process.